A sportsman can catch a ball without calculating its speed or distance. A group of amateurs beat the experts at playing the stock market. A man falls for the right woman even though she's 'wrong' on paper. All these people succeeded by trusting their instincts - but how does it work? 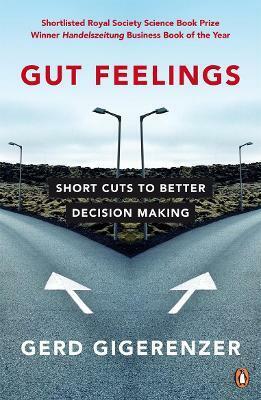 As Gerd Gigerenzer explains, in an uncertain world, sometimes we have to ignore too much information and rely on our brain's 'short cut', or heuristic. By explaining how intuition works and analyzing the techniques that people use to make good decisions - whether it's in personnel selection or heart surgery - Gigerenzer will show you the hidden intelligence of the unconscious mind. Gerd Gigerenzer is Director of the Center for Adaptive Behavior and Cognition at the Max Planck Institute for Human Development in Berlin and former Professor of Psychology at the University of Chicago. He has published two academic books on heuristics, Simple Heuristics That Make Us Smart and Bounded Rationality: The Adaptive Toolbox as well as a popular science book, Reckoning with Risk. Gerd Gigerenzer is Director of the Center for Adaptive Behavior and Cognition at the Max Planck Institute for Human Development in Berlin and former Professor of Psychology at the University of Chicago. He has published two academic books on heuristics, Simple Heuristics That Make Us Smart and Bounded Rationality: The Adaptive Toolbox and Reckoning with Risk.